We are pleased to announce Iulia Tertilova, a PAX-placed, Future Leaders Exchange (FLEX) student from Moldova as the March 2017 FLEX Student of the Month. Iulia was immediately a positive force upon her arrival in Shreveport, LA. Within her first week of arriving to the United States, Iulia helped with flood relief in Baton Rouge. She assisted her high school and the American Red Cross in off-loading and delivering semi-trucks of supplies to the flood victims, an effort which featured on national news. Through her school, Iulia competed in the Junior Achievement SPARK Entrepreneurial and Innovation Challenge. From a pool of 572 competitors, Iulia took first place, winning a scholarship for her and her school. She now advances to represent North Louisiana in New Orleans. Iulia was also selected as a member of the Varsity Choir and has already made it through the first round selection of Louisiana All-State Choir Competition. She was selected to perform two solo singing performances during the Red River Revel art and music festival. Iulia also shares her musical talents with the family’s church and will sing a solo at an upcoming service. Iulia has completed over 100 hours of community service so far this year, given country presentations at her school, and been requested to speak to multiple professional organizations. 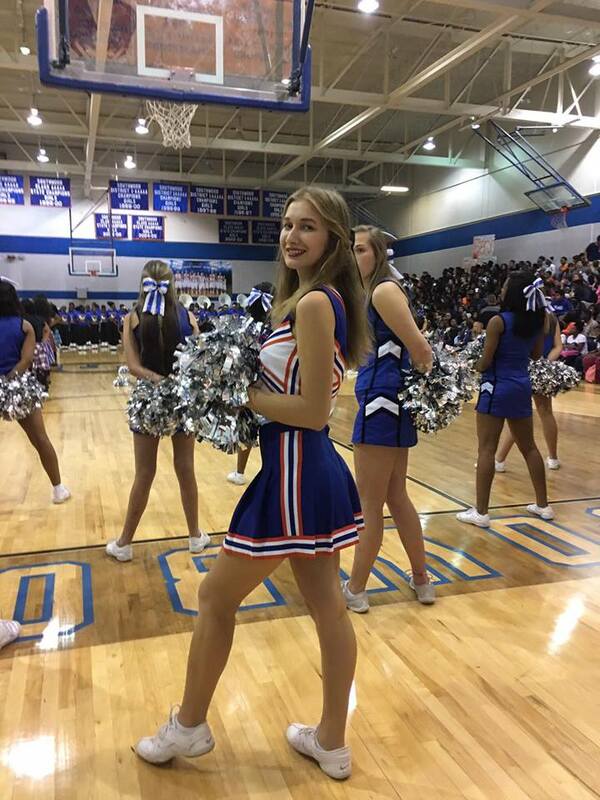 Iulia is also involved in the varsity cheerleading team and was selected to help lead the Pep Squad during her first-ever American football game. Iulia has been a great ambassador for Moldova and the FLEX Program. Her initiative and natural leadership abilities led her teachers to request Iulia lead a special class project to create a video about cultural differences, to be utilized by a regional multicultural organization.